In my hooping practice, I try to be: 25, 28, 22, 21, 20, 16, 14, 15, and 4. Well, most of the list totes work! this is an absolutely GREAT list. I live by #8 - but the rest are wonderful too. 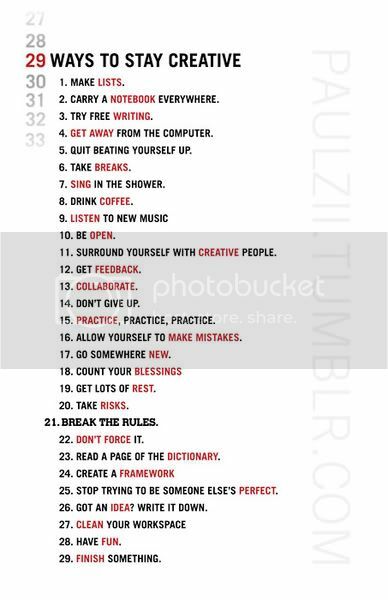 I need to work on 29. haha, and I need to be more patient to make #3 (free writing) work - but overall this is great inspiration!